Turf Forensics® is the complete online resource for professional turf managers. It incorporates plant, soil and water analysis with qualified interpretation, flowing through to predictive services and economically important condition alerts (warnings), a world first for professional turf. Developed in Australia, Turf Forensics® uses cutting edge, statistical learning mathematics to warn greenkeepers when climate conspires to bring about potentially damaging events. Prevention is smarter than cure – and this is never truer than in the world of turf management. Problem is, until now the early identification and prevention of turf issues has been costly and difficult to get right – but not anymore. Turf Forensics® is proud to present the next generation of early prevention tools for turf professionals. Developed in Australia in conjunction with scientists from Australia’s leading universities, Turf Forensics® is a world first culmination of online technology and science combining to keep your turf at the top of its game. My-Results® is the world’s most comprehensive online turf pathology system for turf data management and analysis for professional turf managers. My-Results® is a proactive tool that allows you to streamline and manipulate your environmental test data for improved soil health and management. 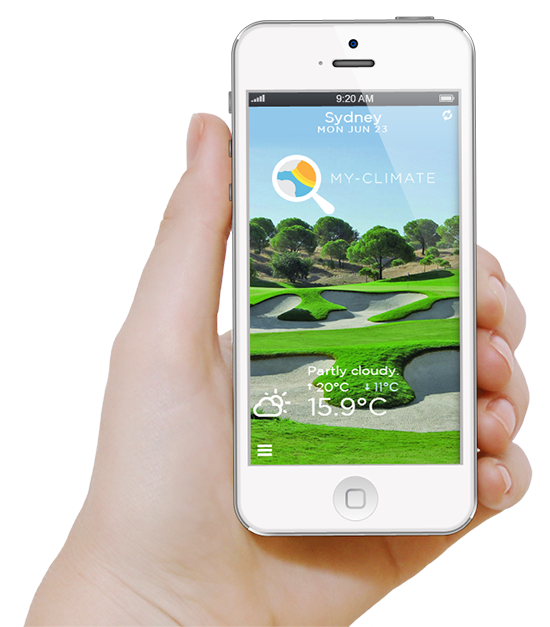 My-Climate® is a complete turf risk management system. A Comprehensive Climate analysis system that draws on local climate information and historic data to provide early warning on the risk of economically damaging outbreaks of disease, weed and other factors.